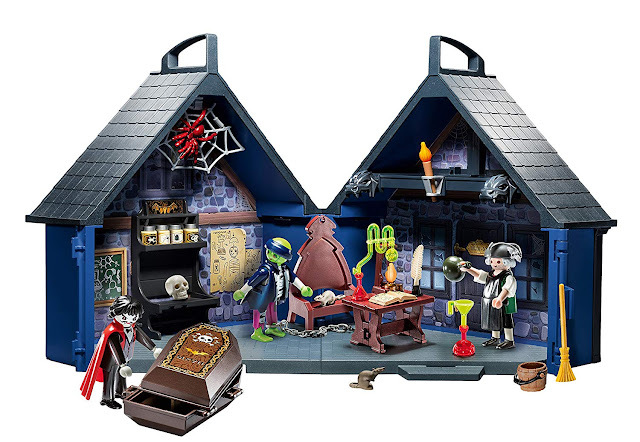 This is such a great geeky and spooktastic gift idea! I can see you giving this to one of the kids going off to school or college. I know I would have loved to get a gift like this while I was entering college. 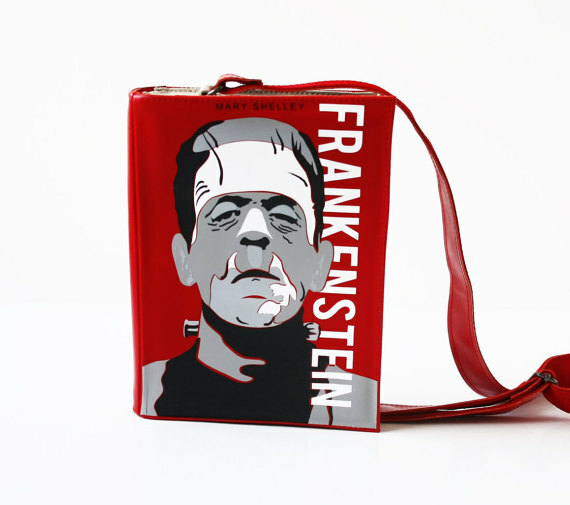 Take a peek at all the Horror Book Purses from Krukru Studio on Etsy. 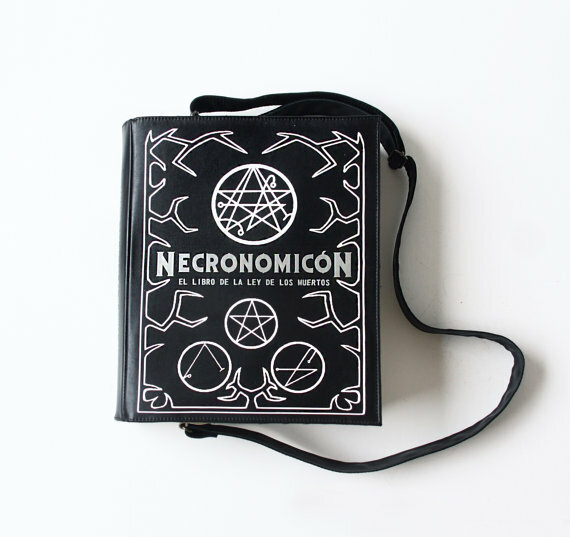 The Lovecraftian community would love to have this Necronomicon leather book purse. My favorite part about this purse are the classic illustrations when you open the flap! It was a pleasant surprise! You could disturb so many people carrying this book purse around with you. I am huge fan of the dark and dreary tales of Edgar Allan Poe. 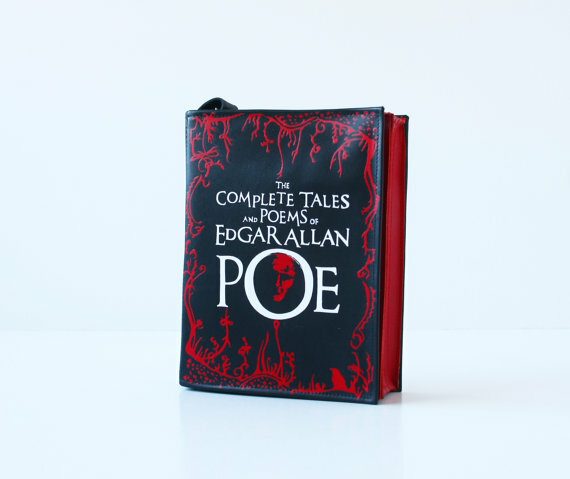 Carrying this Edgar Poe leather book bag would make my day. I really enjoy the red branches bordering the purse, giving it a more sinister look. The scariest part has to be the grim face in the "O" of "Poe". It sends chills down my spine! This Frankenstein leather book bag is beautifully designed. It's definitely a great testament to the classic Mary Shelley novel. I would be proud to carry this bag even for everyday activities. You should check out Krukru Studio on Etsy if you're a bit of a bookworm (like me!) 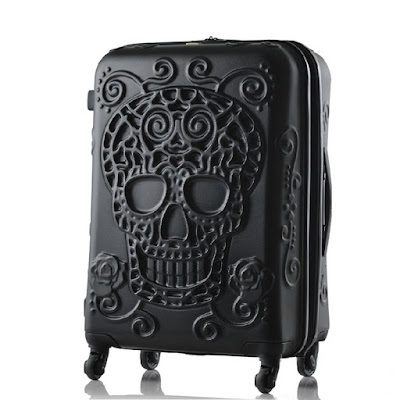 Clearly, I am in love with the horror book purses the most, but they also have others available from different genres. What do you think of them? Comment below!